by Guest Blogger Morgan Carlin In December my boyfriend, Andy, surprised me with the most wonderful surprise a girl can get… to be whisked away on a magical vacation! To where you ask? The Most Magical Place on Earth, Walt Disney World! 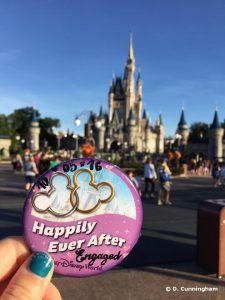 Two weeks before Christmas he gave me an early present, a Minnie Mouse … Continue reading "A Disney Proposal"